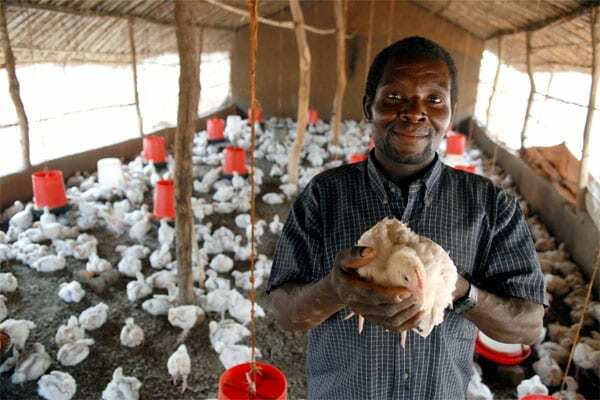 In a hand-built barn in northern Mozambique, Domingos Alfredo Torres tends to his flock of 1,500 chickens. The farmer fills watering and feed stations, ensuring that his chickens grow healthy and plump. They will be in his care for barely five weeks, but these animals represent an opportunity for Domingos to build a better life. Domingos earned $130 from his first flock – money that he used to put a better roof on his house and pay school fees for his children. He has the potential to raise seven flocks each year for Novos Horizontes, a nearby poultry company. Compared to growing crops, chickens represent a more dependable source of income for Domingos, his wife and their nine children. Thousands of similar stories have been playing out across the country in recent years thanks to the growth of the poultry industry. 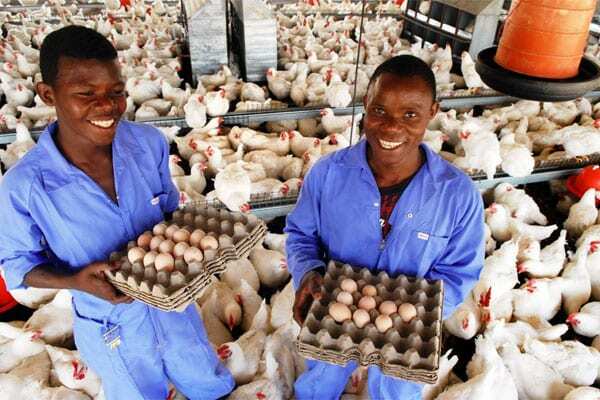 TechnoServe recognized poultry’s potential to create jobs and economic opportunities in Mozambique, launching a comprehensive program in 2005 to strengthen the industry. The program ended earlier this year, but the benefits for the people of Mozambique look to be long-lasting. TechnoServe’s work began with a strategic plan for the industry, funded by the U.S. Agency for International Development and conducted in collaboration with local stakeholders. Our research showed that much of the galinha found in Mozambique stores was Brazilian chicken, imported illegally after sitting in Middle Eastern supermarkets for a year or more. Domestically produced poultry accounted for only a third of the market. The challenge was to make the local industry competitive enough to sell chickens at a better price than the Brazilian imports. Through the U.S. Department of Agriculture’s Food for Progress program, TechnoServe secured funding for a program that brought together a wide range of partners, both public and private, to strengthen the Mozambican poultry industry. One of the first steps was to bring local producers together and create a national poultry association. These early meetings, which brought together sometimes fierce competitors, weren’t always easy. But they resulted in the formation of an industry group, known as A.M.A., which gave domestic producers a unified voice. TechnoServe worked with A.M.A. to recommend import requirements that would protect the health and safety of Mozambicans but not constitute a restraint of trade. The Mozambican government implemented those recommendations. A.M.A. also launched a popular advertising campaign – featuring a voluptuous animated local chicken – that promoted the benefits of buying domestic poultry. These measures helped local producers capture a greater share of the Mozambican market. Meanwhile, TechnoServe promoted training to help the industry function more efficiently. Our advisors worked with companies like Novos Horizontes to help them upgrade their processing machinery, expand production capacity and improve the quality of their chickens. 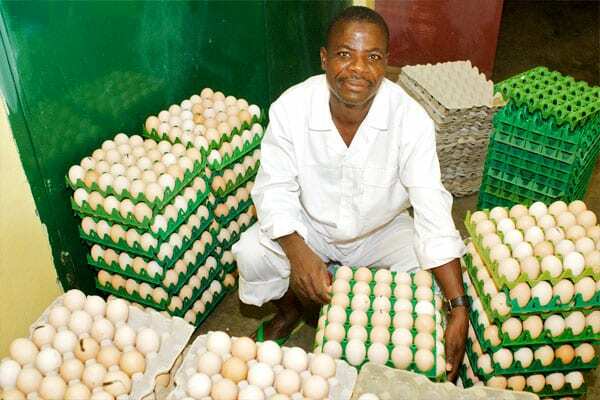 As part of this effort, TechnoServe helped connect the companies to smallholder farmers like Domingos through a credit system in which the farmers receive chicks, feed and vaccinations up front. The costs are then deducted when the farmers sell the full-grown chickens to the processors. Another critical aspect of the poultry industry’s growth was the development of the feed grains sector, with tens of thousands of small-scale maize and soy farmers growing more crops to supply the expanded market. TechnoServe also worked with government agencies and other partners to ensure the safety of the growing poultry industry. In partnership with Cargill, the University of Minnesota and the Safe Supply of Affordable Food Everywhere (SSAFE), TechnoServe helped strengthen the public veterinary service, contributing to improved animal health and a safer food supply. TechnoServe encouraged producers to make investments in bio-security through a matching grant program. And our advisors helped train government inspectors to more effectively monitor the industry and identify any threats to safety. 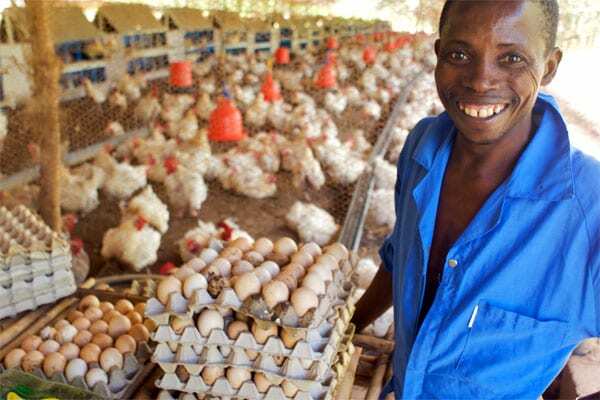 All of these measures helped Mozambican poultry grow from a $25 million industry in 2005 to $160 million in 2009. The industry has created more than 90,000 jobs, including tens of thousands of small-scale farmers. Hundreds of thousands of Mozambicans are living better lives thanks to the industry’s growth – eating healthier diets, accessing health care, sending more children to school. “The results have been dramatic,” Florencia Cipriano, head of veterinary services for the government of Mozambique, said during a congressional briefing in February. Cipriano was part of a delegation from the Mozambican poultry industry hat came to the United States to attend a conference and discuss the industry’s success. “In 2005, there were two imported chickens for every one domestically produced chicken,” Cipriano said. 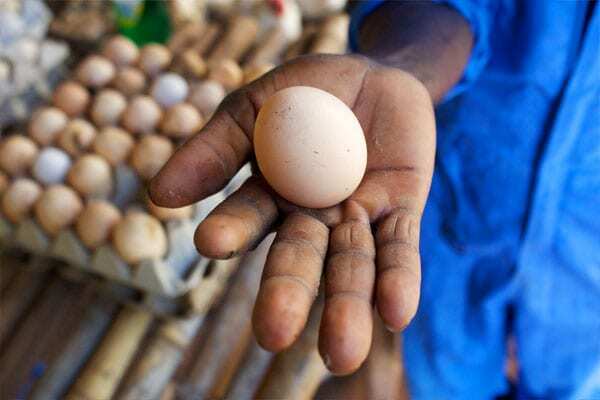 “Today, Mozambican broilers outnumber imports three to one.” Funding for TechnoServe’s poultry program ended in March, but the industry is on a sustainable path of growth. Domestic production is expected to grow 42 percent this year and another 30 percent next year. TechnoServe has incorporated lessons from our poultry work into other programs. For example, we are continuing to provide incentives for companies to train smallholder poultry farmers through our Agro-Forestry Villages program, a USDA-funded effort to integrate sustainable agriculture with plantation forestry. TechnoServe is also continuing our development of the regional soy industry through a program funded by the Bill & Melinda Gates Foundation. 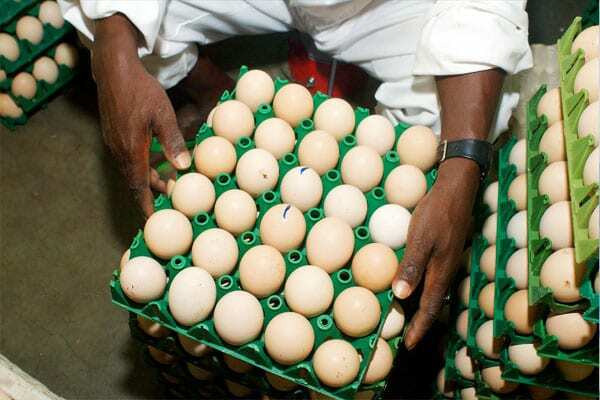 The Mozambican poultry industry still faces challenges as it continues its growth. But with the foundation of skills and knowledge laid by TechnoServe, the men and women of Mozambique are poised to ensure that chickens help change even more lives.